NEW: NOW AVAILABLE IN FOUR WHEEL DRIVE! 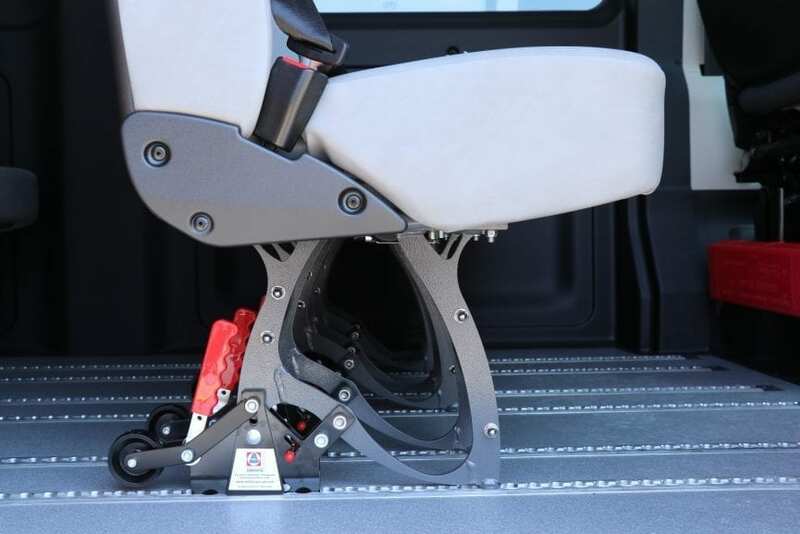 Click the images below to view the videos of the MoveMobility 4×4 Ford Transit! Contact us by filling in the form on the right or give us a call for more information on this vehicle and how it helps communities and individuals overcome challenges with rough terrain. 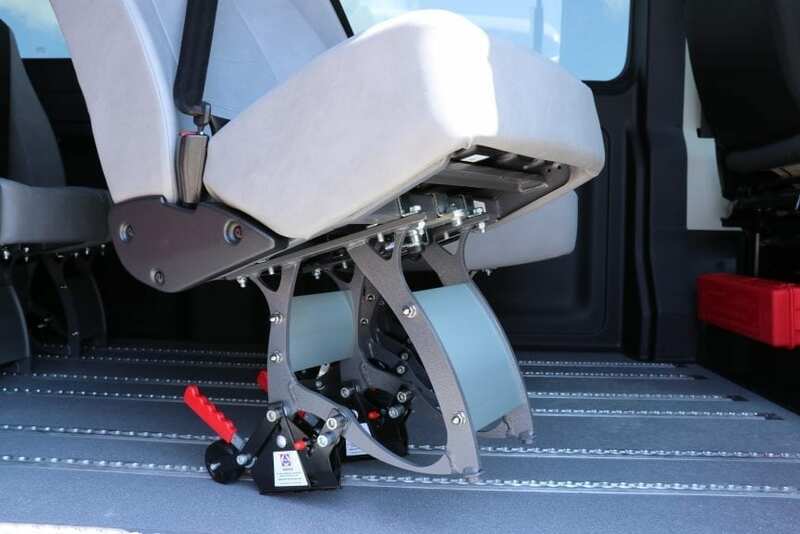 MoveMobility provides a solution that takes a full-size passenger van and combines it with flexible seating and a wheelchair restraint system called Auto Floor. 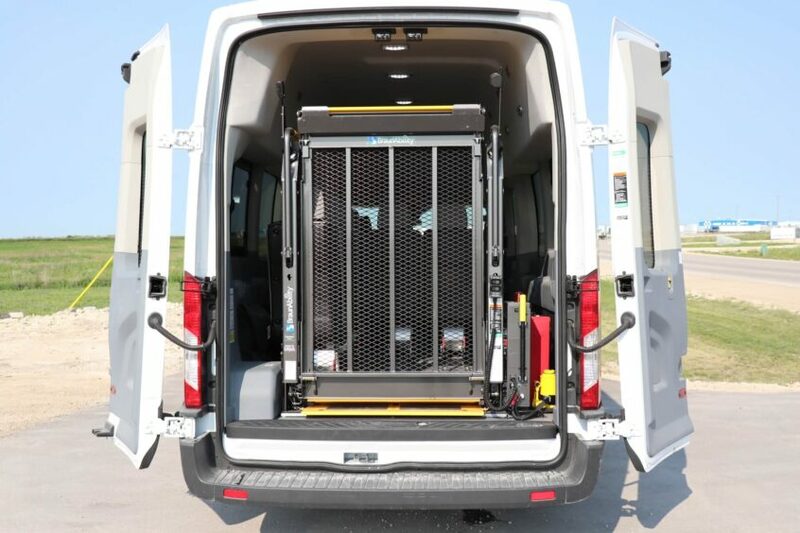 This vehicle offers the complete flexibility you need for your organization. 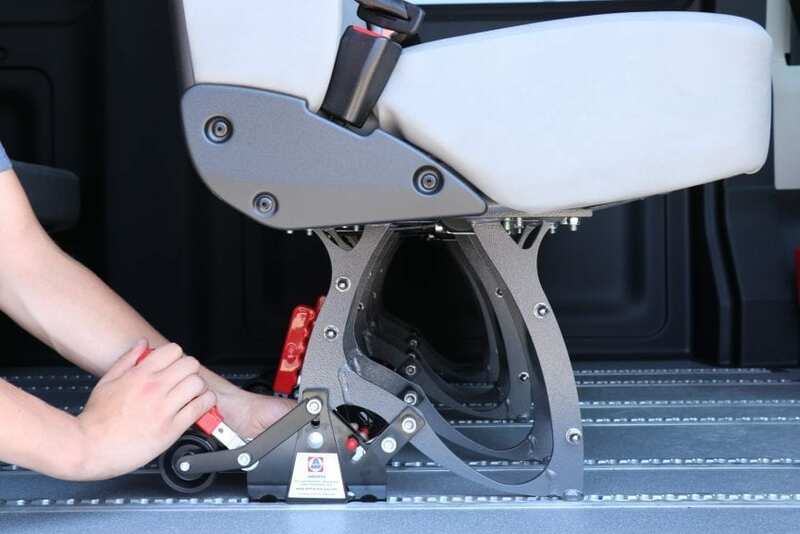 You can transport up to 13 passengers, including the driver, and the wheelchair lift can be positioned at either the side or rear of the vehicle. There are over 1,000 possible seating configurations that can be changed in minutes! Cost effective transportation – trades welcome. Save up to 40% on fuel costs compared to a traditional minibus. 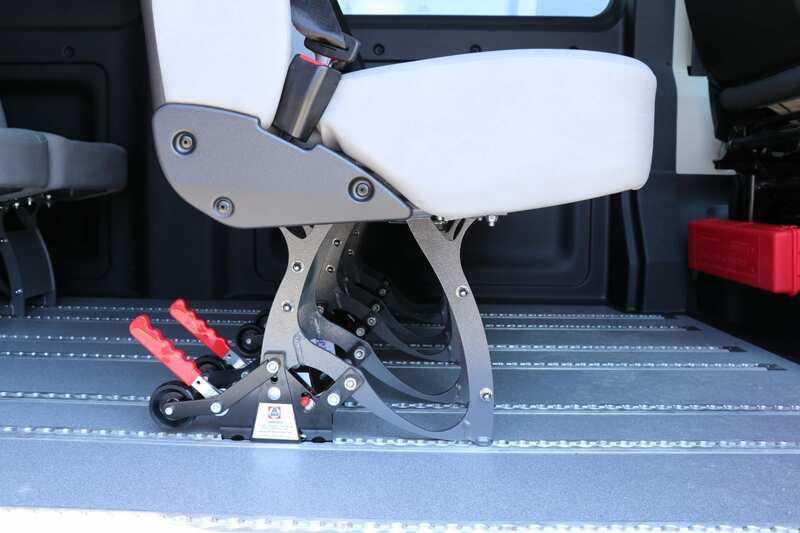 Take who you need, when you need, with MoveMobility’s flexible flooring system, Auto-Floor. ADA, FMVSS, and CMVSS Compliant. Choose what works for you – everyone’s needs are different. 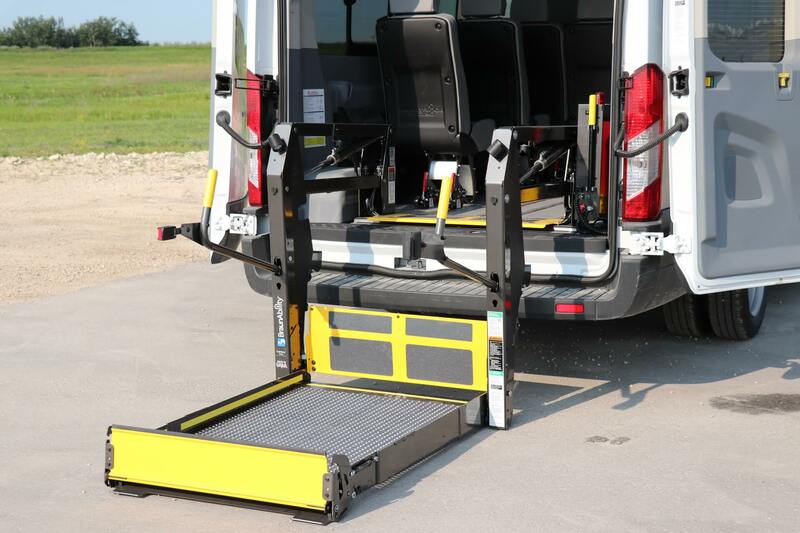 Manual and automatic lift/ramp options are available on all of our vehicles.